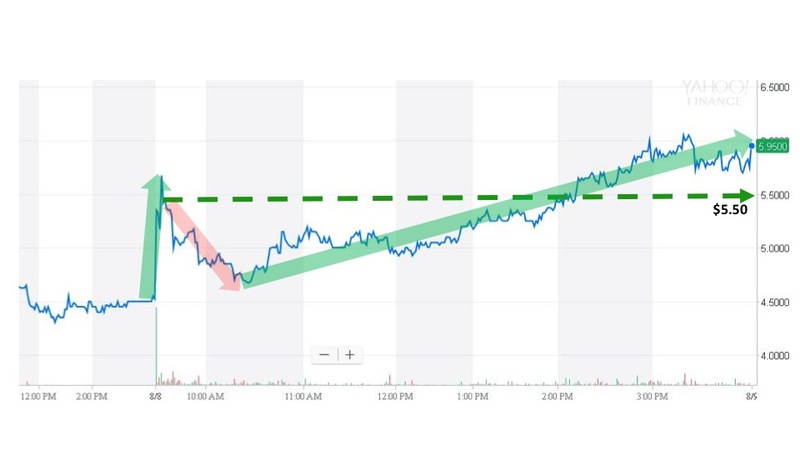 On August 8, Strongbridge Biopharma plc (SBBP) announced top-line results from its Phase 3 SONICS study evaluating RECORLEVTM(levoketoconazole) for the treatment of endogenous Cushing’s syndrome. The open-label, single-arm SONICS study produced statistically significant results of its pre-specified primary endpoint. At six months, 30% of patients demonstrated a normalization rate of Urinary Free Cortisol. 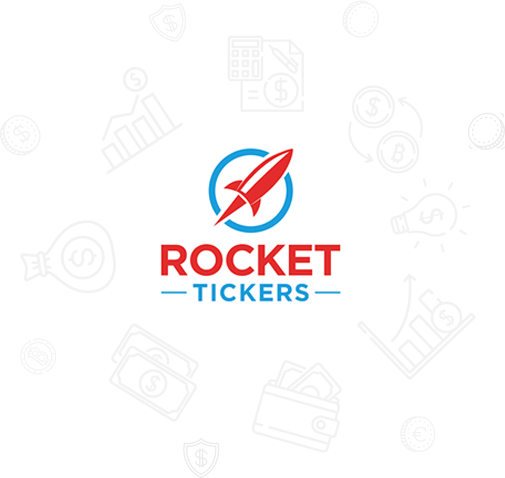 Rocket Tickers alerted subscribers of the news at 6:30 am, and the next trade took place for $5.65 at 6:33 am. Regular market trading opened at $5.50. Following an initial spike at the market open, the stock price faded back in the first hour of trading. The price pushed higher through the rest of the day before closing at $5.90 for an event day gain of 7.27%.